A kinetic billboard campaign that demonstrates the ambivalence of the 2014 Winter Olympics in Sochi. The only way to bring the truth to light is through freedom of the press. That’s why all over the world Reporters Without Borders are fighting for the freedom of information. To mark the start of the controversial Winter Olympics in Sochi, Reporters Without Borders exposed both sides of the coin. We developed city light posters with alternating coloured layers, a mechanism that literally uncovered the truth. As a result, people from Sochi who might otherwise not be heard managed to have their say. 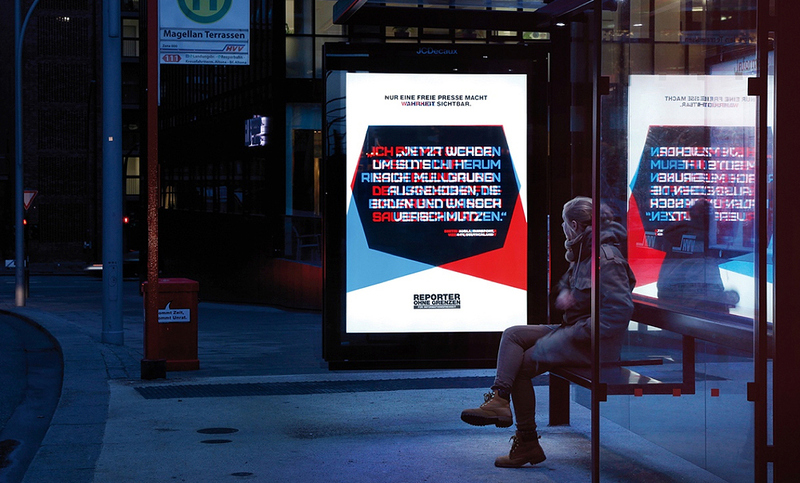 The campaign was aired in Germany during the Olympic Winter Games in Sochi.